Digital video on demand is a delivery method that utilizes archived digital video content that can be retrieved and streamed for immediate playback. It does not require a hard copy on a DVD, CD, or flash memory card. Check out this definition of digital video in Wikipedia. According to Wikipedia, “Digital video is a type of video recording system that works by using a digital rather than an analog video signal” (n.p.). For additional background information, read this article about digital video in schools. DVOD is a personalized digital video delivery that can stream videos at the point of a consumer’s request, generally in higher definition, and to fit the format of multiple screens, from television to laptop, to handheld. Video on demand requires a library of pre-recorded videos from which to choose; the content may be free, subscription based, or pay-per-view. Digital video in education makes instructional video available for streaming or downloading to use a variety of ways. Teachers may use the videos for whole group instruction, small group instruction, or personalized instruction. The presentation can be made on a large screen, interactive whiteboard, a desktop or laptop, or a personal digital assistant or MP3 player. 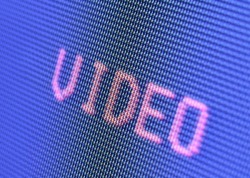 Digital video on demand can be used to accommodate diverse learning styles, can expand instruction beyond the classroom, can send instantaneous communications to a wide audience, advertise school events such as proms, sports, assemblies, news, registration, bookstore sales, directions, schedule changes, emergencies, and otherwise improve communications. Research has indicated that the “value of video is highly correlated to its integration within the curriculum—in other words, how closely the content fits into the overall instructional sequence” (Synergy, 2009). What is the history of DV? Audio and video for educational enhancement has a history dating back to cave paintings (Saettler, 2004, p. 23). Interestingly, with the introduction of each new medium, concerns have arisen as to its appropriate use in education (Corporation for Public Broadcasting, 2004, p. 4). Educators have promoted television and video broadcasting as motivational and engaging to students, accommodating different learning styles, and assisting with development of background knowledge and reinforcement of instruction. However, early research on video’s effectiveness promoted the theory of the passive viewer. Today, this notion has been replaced by the cognitively active theory of viewing, which holds that viewers are actively applying what they learn from viewing to existing knowledge ((Corporation for Public Broadcasting, 2004, p. 5). What is the state of DV today? Digital video has come a long way since the invention of the laser disc in 1969 (Block, n.p., 2005). Today’s state of the art digital video is Blu-Ray technology, which significantly enhances the definition of digital video transmission by offering a tighter track pitch and a thinner disc, but a more expensive product. (Block, n.p., 2005). Watch the video above to see how instructional video can engage and motivate students. Have a question? Need help? Email peggymilam@hotmail.com for help with content or navigation issues.